I like liquid eye liners for that precise, thin and smooth line or heavy thick line depending upon the mood and occasion. I have earlier used Avon, Lakme, Oriflame and some other brands too. 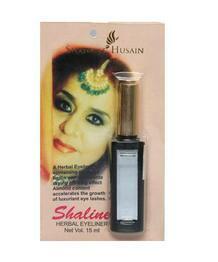 This time, I thought to give Shahnaz Husain’s eyeliner a try as it’s herbal and I use liners very extensively. An eyeliner containing herbal ingredients which helps to enhance and protect eye beauty and keeps the skin moisturized. 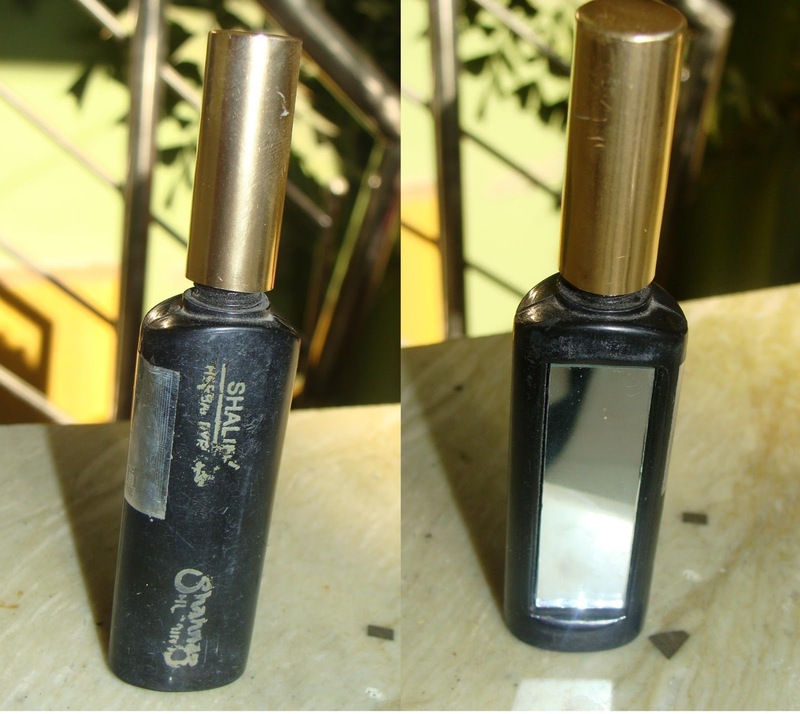 A herbal eyeliner containing precious herbs which prevents drying or flaking effect. It prevents the drying or flaking effect of normal eyeliner because of its natural herbal ingredients while the almond content accelerates & maintains growth of luxuriant eye lashes. This is specially developed herbal eyeliner containing precious herbal ingredients such as amla, almond, neem, camphor and castor oil..
Just use it once and will you like it!!!! It is so smooth and black. It smells herbal, say of camphor and I like this as this was the prime reason of purchasing this product. Whatever do we expect from a liquid eyeliner, this one satisfies all reasons. Won’t let you down. No dryness, itchiness or irritation but instead it gives a soothing sensation. Doesn’t feel heavy on eyelids how much the product you apply. A precise line or a heavy one- your choice but both perfect and you can even attempt a winged liner with this one. I have done many times 🙂. The brush is super fine. You can remove it midway easily without looking like a ghost. While removing in the evening too, it doesn’t create any problem. No raccoon eyes. Simply use any cream or remover to remove it but my Cetaphil cleanser also removes it completely. It doesn’t smudge, stays all day as it is. I love it 🙂. Very good quantity for the price, lasts long. Very fine brush with long, thin tip. Fine quality brush, opposite to the Lakme ones 🙂. A thin precise line or a heavy dramatic look, you can achieve anything with it. No smudging all day long and easy removal. No itching or irritation ladies 🙂 even if some product goes inside, maybe due to its herbal properties. It has a mirror which is quite good. Improves lashes over the time as it contains almond oil etc ingredients. No cons at all. Perfect for all for daily use. Even for oily eyelids and sensitive eyes. In love with it totally.